Delicate, graceful, the lily is a noblewoman among flowers. Surrounded by her court of red roses, burgundy carnations, and white poms, she truly shines! Standard arrangement includes 9 stems. Deluxe arrangement includes 12 stems. 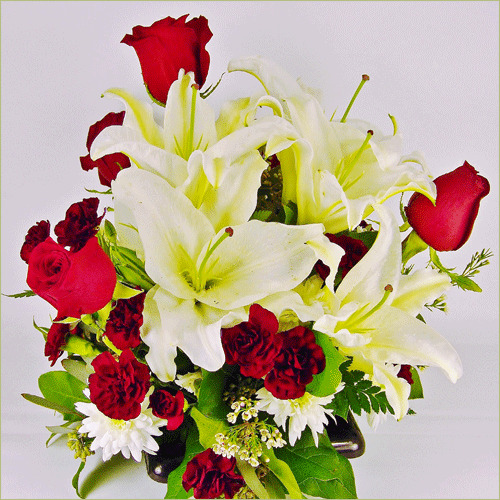 Premium arrangement includes 15 stems.